The end of school is here and we’re sure that your little ones were counting down the days until summer. With the weeks stretching out ahead, and hours to spend relaxing in a hammock with a good read, the teachers here at RRLS have been reminiscing about the books we enjoyed reading as kids. Some of these books were favourites for multiple teachers and they brought back a lot of fun childhood memories. We hope you and your munchkins enjoy reading these as much as we did! Purple Green and Yellow by Robert Munsch. The tale of a girl who loves to colour and takes it to a whole new level. The Balloon Tree by Phoebe Gilman. The story of a brave young princess with a magical balloon tree. 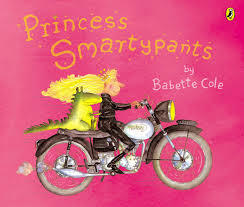 This fairy tale is perfect for inspiring and encouraging spirited young girls to be feisty and courageous. The story of a cat that sees all of the small details that we, as humans, often miss. A book about a non-traditional princess who has no interest in getting married, and is full of great ideas on how to get rid of her many suitors. A story about what moms are like in the morning before the coffee finishes brewing. Tweet us and share your favourite childhood books! For other tips, suggestions, and support in maximizing your child’s academic potential over the summer, please contact Ruth Rumack’s Learning Space at 416.925.1225 or visit our website. Tips for Engaging Your Children in At-Home-Learning! Click on the image to download our Short ‘A’ Mini Pack for free.